Material: chicken meat,pork meat,beef meat,fish meat etc. 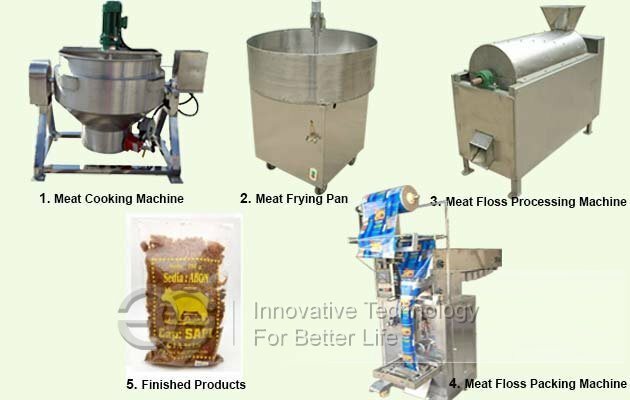 This machine can make pork floss, fish floss, chicken floss, mushrooms floss and other products, is made of meat floss food or other food floss special equipment. 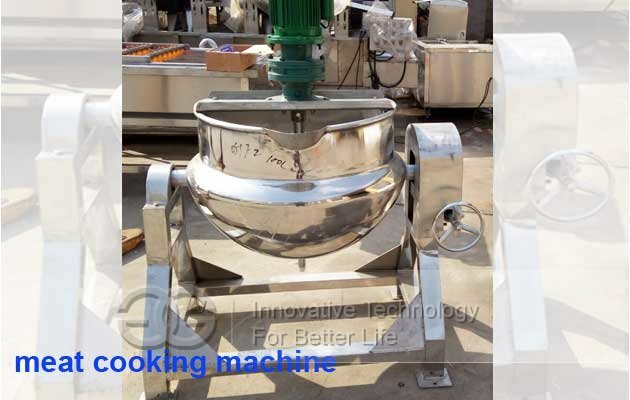 all machinery for the stainless steel, not rust does not corrode, in line with food-grade health. 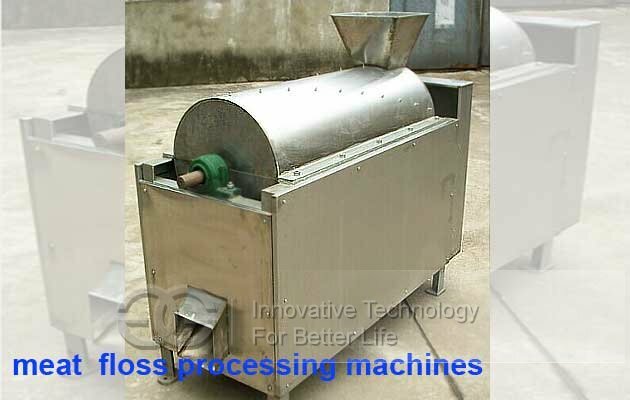 make meat floss need three equipment, meat cooking machine → flat keel frying pan → meat floss processing machines. finally you can match a packaging machine. The First step: using DSJ wire drawing machine processing the cooked fish meat into thin strips. The second step: using DNC rotary frying pan make into fish floss. 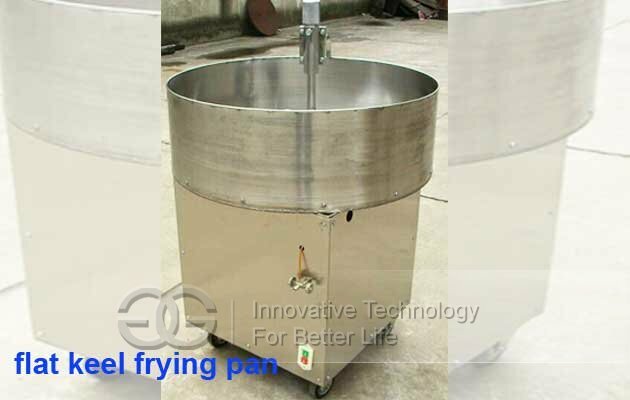 There are a variety of models of rotary frying pan ,please choose according to the output.